With a Zzznoring Mom on one side of the sofa & my son lounging on the other. 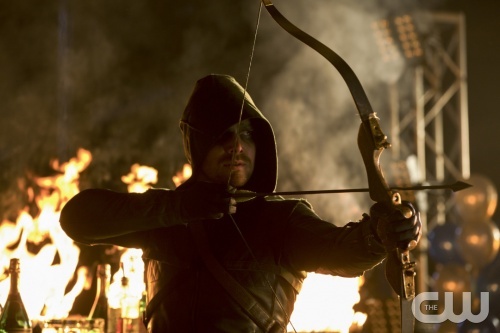 Arrow's growing on me... Mostly cause of the archery. :p Damn... I miss shooting my recurve bow. It makes me so focused & completely zen. "War hath no fury like a noncombatant." ~Charles Edward Montague, Disenchantment.